From the 2018 Predator movie directed by Shane Black! Although their scenes were deleted from the final cut of the movie, the Emissary Predators were military Predators who fought alongside the Loonies. Emissary #1 stands over 8-inches tall and features 30 points of articulation. 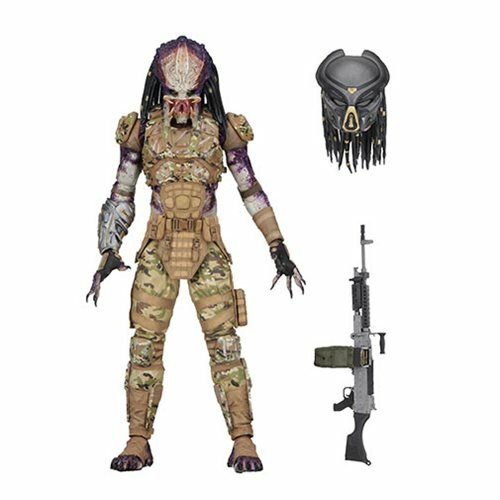 Includes interchangeable masked and unmasked heads, 2 pairs of hands, and rifle accessory. Comes in collector-friendly deluxe window box packaging with opening flap.